Who can resist to chocolates and cakes. 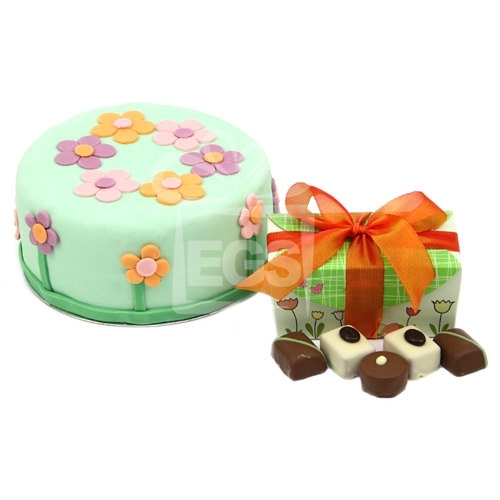 The Perfect all rounder gift for all occasions.The cake is decorated with multicolored flowers on a soft green icing accompanied with a traditional belgian chocolate ballotin box all gift wrapped and ready to be sent. Available to order online in a Choice of vanilla or chocolate sponge base with the options of personalised message card and ribbon. You can personalise this Springtime Birthday Treat free with your message printed on the ribbon up to 25 characters in the box on right.